Question Time, the BBC's premier political programme chaired by David Dimbleby, was in Bath on 12 February. The panel included the Minister for the Cabinet Office Liam Byrne, Conservative shadow minister for communities and local government Justine Greening, Birmingham City councillor and leader of Respect Salma Yaqoob, Sun columnist Kelvin MacKenzie and gardener and television presenter Monty Don. 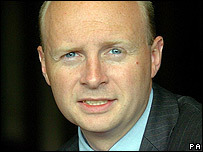 Career: Liam Byrne is the Minister for the Cabinet Office and the Labour MP for Birmingham Hodge Hill. Previously, he was minister of state for borders and immigration, where he spearheaded the concept of "earned citizenship" for newcomers. Before his election to Parliament in a 2004 by-election, he worked for the multi-national consulting firm, Accenture, and merchant bankers, NM Rothschild & Sons, before co-founding a venture-backed technology company, eGS Group, in 2000. He was promoted to a ministerial post in the health department nine months after becoming an MP and received the Spectator magazine's Minister to Watch award in 2007. Last month he claimed that Conservative leader David Cameron's pledge to restrict increases in government spending in all areas except the NHS, schools, defence and international development to 1% would lead to swingeing cuts for the voluntary sector. He wrote in an open letter to the Conservatives: "Your proposed cuts would come at the worst possible time, just when the sector needs real help." 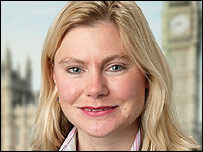 Career: Justine Greening is shadow minister for communities and local government and the Conservative MP for Putney. She was previously a shadow treasury minister. Before entering politics, she worked as an accountant for, amongst others, PriceWaterhouseCooper and GlaxoSmithKline. She unsuccessfully contested the seat of Ealing in 2001 and was elected as MP for Putney in 2005. In December 2005 she was appointed as a vice chairman of the Conservative Party, with responsibility for youth. She has been a vocal opponent of the government's plans to expand Heathrow Airport and last month called the issue the "biggest issue in her constituency for a generation". 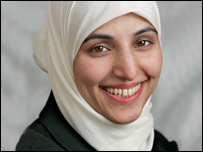 Career: Salma Yaqoob is a Birmingham City councillor and the leader of the left-wing coalition, Respect. She was born in Bradford to Pakistani parents and grew up in Birmingham. After standing as a Respect candidate in the 2005 election, she was elected in the Sparkbrook ward of Birmingham City Council in the 2006 UK local elections. She claimed that her election "challenged the traditional conservatism that denies leading public positions to women, and challenged the old order, which treats our communities as silent voting fodder. And it was only possible because we united people around a progressive message of anti-racism and social justice." She chairs the anti-war movement in Birmingham and is an active pro-Palestinian campaigner. Last month she called on Birmingham Council to boycott Israeli goods in response to its actions in Gaza. 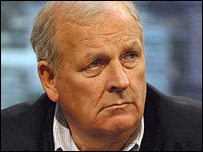 Career: Kelvin MacKenzie is an outspoken columnist and one of the UK's best known right-wing commentators. He was the editor of the Sun from 1981 to 1993, during which time it established itself as Britain's best-selling tabloid. His tenure as editor was not short of controversy and he was responsible for the paper's famous "Gotcha!" headline in response to the sinking of the Argentinian battleship Belgrano, as well as its coverage of the Hillsborough disaster, which caused widespread outrage. He returned to the Sun in 2006 as a columnist. Last week he criticised teachers for staying away from work during the snow, writing: "The teaching year is not an onerous one. Thirteen weeks' holiday neatly dovetailing into family life, meaning no childcare problems or payments. The nice thing is, once having returned from your relaxing lengthy holiday, you immediately go on a training day - no question of doing that before you return - or have a strike about pay and conditions. So when the first drop of the white stuff appears you do what comes naturally - not turn up for work." 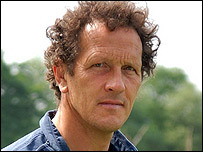 Career: Monty Don is a gardener, television presenter, writer and president of the Soil Association. He was the presenter of BBC Two's Gardeners' World from 2003 until 2008 when he stepped down. He also presented last year's acclaimed BBC Two series Around The World In 80 Gardens. In summer 2004 he began a project in collaboration with West Mercia Probation Service, in which he worked on a smallholding with a group of young people whose drug addictions had led them to persistently offend. The project was filmed for a documentary, Growing Out Of Trouble, which was screened in December 2006. Despite being one of the country's best known horticultural experts, he received no formal training as a gardener and has described himself as "an amateur gardener and a professional writer."